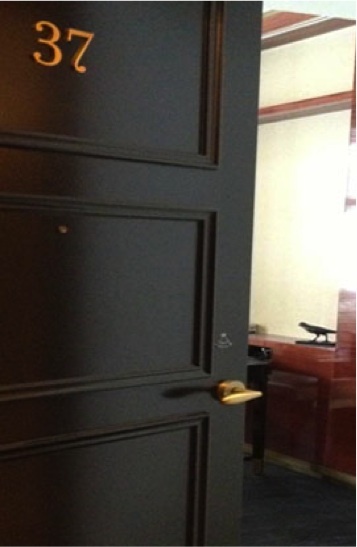 Designer door locks available to match the hotel’s environment have been released by hotel security provider VingCard. The contactless locking hardware comes in four colors–green, blue, red and orange allowing VingCard to provide an electronic-locking system for hospitality that speaks directly to designers’ and architects’ requests for a solution that doesn’t detract from the aesthetics of the guestroom corridor. VingCard, a global leader in hotel security technology, has announced that in addition to providing more guest satisfaction, more selection and more security through its Signature RFID solution, it now offers even more adaptability by making the standard black RFID reader available in one of four optional colors: Green, Blue, Red and Orange. VingCard became the first manufacturer to design an electronic-locking system for hospitality that spoke directly to designers’ and architects’ requests for a solution that did not detract from the aesthetics of the guestroom corridor. In 2005, Signature by VingCard became the industry’s first electronic-lock series to feature a minimal-hardware design complemented by Designers’ Collection door handles from Valli&Valli. Signature RFID was launched in June 2006. All elements of Signature RFID are designed to complement each other and the hotel décor. The metallic RFID reader ring matches the finish of the standard and Designers’ Collection door handles. Working with famous Italian handle crafter Valli & Valli, VingCard partnered with the following renowned designers for its Designers’ Collection door handle series: Norman Foster and Partners, Yoshimi Kono, Gustav Peichl, Antonio Citterio, Gregotti Associati, Richard Meier, Sottsass Associati, Taller Design Ricardo Bofill and Piano Design Workshop. Metivier said the combination of the Designers’ Collection door handles coupled with colorful Signature RFID readers opens a new world to designers’ and architects’ imagination. He anticipates that with the new color options for Signature RFID, even more hoteliers and designers around the world will be attracted to the security solution than ever before. Signature RFID reader colors also can be used to compliment the hotel’s own signature logo and can be customized to match personalized or branded RFID keycards, wristbands and keyfobs. “We are proud to say that VingCard offers a security solution for every taste, every hotel segment, every budget and every designers’ or architects’ imagination,” he added. In addition to its colorful design, Signature RFID provides leading edge security and convenience for the guests. The system is perfect for harsh environments where traditional magnetic or contact smart cards readers may not fare well, such as beachfront properties and other wet climate. Since the interface between card and reader is “contactless,” the reader is sealed so that it is virtually impervious to harsh climates. In addition, this contactless solution eliminates guest frustration since no key needs to be inserted into a lock – the keycard only needs to come in close proximity to the card reader. Properties located in harsh environments also can benefit from the new Physical Vapor Deposition (PVD) finish that protects electronic locks from extreme conditions. The PVD finish protects against corrosion, UV beams, salt, aggressive cleaning products and more. PVD locks are covered by a 10-year warranty and come available in Satin Chrome / Satin Brass or Polished Chrome / Polished Brass finishes. The world leader in hotel security technology, ASSA ABLOY Hospitality has products installed in more than 35,000 properties worldwide, securing in excess of 6 million hotel rooms. The ASSA ABLOY Group, a publicly listed company, is a world leader in security and hospitality systems. VingCard provides numerous electronic locking system solutions, including traditional magnetic-strip, smartcard systems and the latest RFID electronic locks compatible with the main ISO standards: ISO 14.443A (MIFARE), ISO 14.443B, ISO15.693 and NFC-compatible (Near Field Communication), fully integrated PMS interface software solutions and worldwide service and support in more than 165 countries. Elsafe provides the first UL-listed (1037) hotel safe series on the market today in keypad and card-based models. Safes that include an internal power outlet to support recharging of laptops and camcorders also are available with a UL listing. Elsafe customers also enjoy the same worldwide service and support. The ASSA ABLOY Hospitality Group is dedicated to the hospitality industry. For more information on VingCard Elsafe, visit www.vingcard.com or www.elsafe.com. Valli & Valli was founded in 1934 and remains a Valli family business. The company prides itself on its functional yet distinctive designs, uncompromising craftsmanship and quality production. Its products are manufactured near Milan, and are distributed in more than 70 nations. Valli&Valli has its own commercial branches in Europe, United States and Singapore. More information about Valli & Valli is available at www.vallievalli.com.